CUSTOM WEDDING INVITATIONS. UNIQUE & EXCLUSIVELY YOURS. LET'S TELL THE WORLD YOUR LOVE STORY. 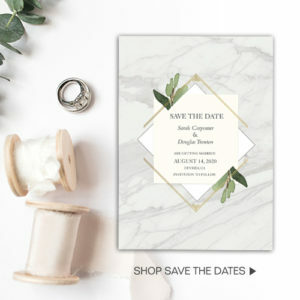 Custom Wedding Invitations and coordinating suites – in 3 easy steps. We will be here every step of the way to make sure your experience is simply perfect. Pick your favorite wedding set, enter your wording and then place your order. Your dedicated designer will create and email you a complete color PDF proof of your invitation suite. Once you’re totally satisfied with the design, your printed custom wedding invitations will be on their way to you in 4 days. Announce your upcoming wedding and unique personality with our creative Save the Date Cards and Postcards. Let the celebration begin. 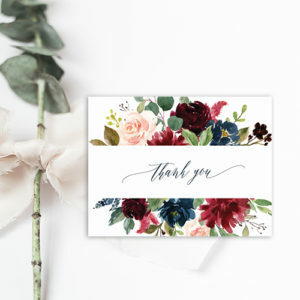 Exclusive thank you cards designed for all who helped make your big day the best day. Hand-crafted love to show how much you care. Small details sometimes have the biggest impact. Create the custom wedding accessories you’ve always dreamed of in a few simple steps.